So – as we head into the final week of January, I’ll ask again. How’s the New Year’s Resolution thing coming? I asked this question a couple of weeks back, and offered some initial ideas and guidance as to why so many fail at the goals they set for themselves. If you missed it, you can catch up here. 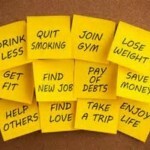 As a reminder (and something we all pretty much instinctively know), New Year’s Resolutions simply don’t work. They ultimately have a 92% failure rate. As I mentioned in my last post, 40% of them are abandoned by the end of January alone. That means that as I type this out and you read it, nearly half of those who had such high hopes only three weeks ago have given up. They’ve gone back to smoking again, or back to the poor spending habits that they swore “would be different this year.” For others, those short-lived trips to the gym have been abandoned and been replaced once again by reality television or some other “easier” way to spend the time. It’s actually become a sort of cultural joke, to the point that even the using the phrase “New Year’s Resolution” brings a snicker or an eye roll from some. It doesn’t have to be that way. You see – people really do want to change. I firmly believe that. I think we are all drawn to a desire to be a better version of “us” than we currently are. I have faith in the creation of the human condition that causes each one of us somewhere deep within to want to be our very best. The issue is in the how. New Year’s Resolutions are goals without the bones and muscle to give them structure. And what is a goal without structure and a plan? Simply a wish. Maybe you’re already part of the 40% that has given up. Or maybe you’re on your way to joining the 75% that will throw in the towel by Valentine’s Day. Again, it doesn’t have to be that way. It’s not too late to have an amazing 2014. In fact, this may be the year that you put some habits and routines in place that will cause your life to never be the same again, well beyond a single calendar year. I have faith in the creation of the human condition that causes each one of us somewhere deep within to want to be our very best. Last post I discussed how to make sure your goals are backed up and supported by a definitive, measurable plan, and how to deal with the inevitable setbacks and obstacles that come along the way. Again, if you missed it, you can get caught up here. Here are some additional reasons why so many fail this time of year. Move past these hurdles and you will be well on your way to taking your New Year wishes and turn them into results that you can be proud of. So, what do I mean when I say that you need a “WHY?” Your “WHY” is the driver, the reason, the passion that makes you want something so badly that you will stop at nothing until you have achieved it. Your WHY will keep you going, far beyond when you feel like it. It will get you up at 4:00am in the morning to hit the gym. It will cause you to come home after eight hours in the office and write another chapter of that book that is your real passion. It will cause you to parent your children to the standard that you know you need to, even when you’re exhausted and don’t feel like it. See – those are some good reasons. Those people have found their “WHY.” They know what they want to do, but they have the driving force behind the action that will cause them to perform, even when they don’t feel like it. And here’s the best part about finding the “WHY” behind your dream; it’s your personal motivation. And because it’s personal to only you, it can be anything. It doesn’t have to be all butterflies and rainbows, either. Your “WHY” can be born out of frustration, disappointment, or even anger. Often those emotions that we tend to view as “negative” can end up being amazing catalysts for change. I’ve heard so many stories over the years of others that have gone on to do tremendous things because they finally got mad enough to do something about it. That’s a good thing. I had a personal weight loss “WHY” along those lines for about three years. You see, I used to weigh 300 pounds. Well, 297 pounds to be exact, but what’s an extra supersized meal between friends, right? Yep – 297 pounds. I would never presume to speak for another in that type of situation, but I was personally disgusted. For a guy who weighed 180 pounds (maybe) coming out of high school, 297 was out of control. I wanted to change, but it was a struggle. That’s where Six Flags came to the rescue. One of the many blessings of living here in the U. S. in California is that we have plenty of amusement parks. And our family is no stranger to them. We love our roller coasters. But on one summer day, a particular roller coaster at Six Flags changed my life. 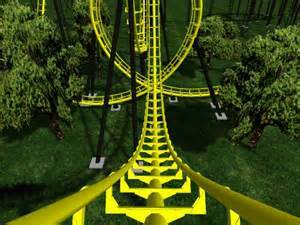 It gave me my “WHY.” It was a coaster that would soon take us upside down, looping around and around with speeds that would guarantee smiles and screams of excitement. The ride attendants were coming around, locking down the harnesses that would keep all of us thrill-seekers from falling out during the ride. Only there was one problem. My harness wouldn’t close. I was just too big. The attendant was pushing down, looking for that audible “click” that would signify that I was locked safely in place, but he couldn’t get the click. So he called his co-worker over. If you’ve been on a lot of roller coasters before, you may have seen this – a team effort of it taking two people to make sure the passenger was locked in and secured safely. This time, I was that guy. I was sitting next to one of my kids at the time. To this day, I’m not quite sure if it was my son, Kylle, or my daughter, Jordan. That detail has faded over time. But what I do remember like it was yesterday is the shame, the embarrassment, the self-loathing that came with sitting next to one of my kids in what was supposed to be a very happy time and their dad was too out of shape to share in the thrill of the moment with them. That moment, I had had enough. I was done living like that. I was going to change. Finally, I had found my “WHY.” I started jogging (something I used to say I would never do), and I started keeping a food log. I prayed for strength, guidance and self-discipline. But I also kept that image, that “WHY” of that day at Six Flags at the forefront of my mind. I never wanted to be in a situation like that with one of my kids ever again, and I vowed to make sure that I wouldn’t be. I ended up losing over 100 pounds over about 2 ½ years, and for the most part have kept it off. So, whatever your resolution, your dream is – find your WHY. It may be the only real thing missing between another failed attempt and best year you’ve had in a long, long time. 2. Attempting to do too much, too soon. I see this a lot, and I’m sure you do as well. Someone makes the decision to change. Maybe it’s the weight loss/get in shape scenario again. January 1st hits, and they get the gym membership. They go purchase the cool, new workout clothes. They say “this is the year” and they commit to hitting the gym every day. The tortoise beats the rabbit every time I read the book. Consistency far outweighs intensity – every time. One problem: someone that hasn’t been working out to that point is going to experience a tremendous shock to the system when they attempt to turn their world upside down. It may work for a week or two, but drastic 180-degree change has a fairly low success rate. Not only will their bodies push back in rebellion, but they end up fighting against mental and psychological fatigue, sudden drastic shifts in their daily routines, and other challenges. Often the pushback feels tremendously de-motivating, and thoughts of “this is just too hard” start to set in. Just take it easy. Take it slow. The old adage is true – Rome wasn’t built in a day. True, lasting change takes time. Significant self-improvement always comes from momentum, and momentum always comes from consistent, steady habits and routines practiced again and again over time. 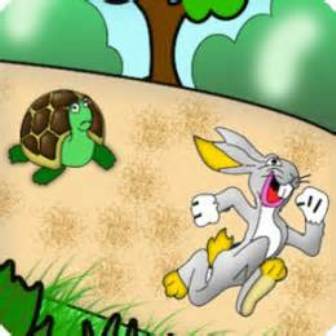 We all know the classic story of the Tortoise and the Hare. Do you know what the coolest part of that story is? The tortoise wins – every time I read the book. Why? Because consistency far outweighs intensity, every time. If you’ve never run a day in your life, trying to run five miles every day at the start just isn’t going to work. It won’t happen long term. But a walk around the block each day, every day for a week, followed by two blocks the next week, followed by a short jog in week three – those are the foundational types of habits that will bring the eventual desired results. I hope you’ll join me next week as I wrap up this series on New Year’s Resolution failure. As a reminder, I discuss many of these concepts in more detail in our audio course, Living Life by Design. You can find out more about the course, read about how it is already helping many to achieve far beyond their expectations, listen to various segments from the course, and even download the entire first session as our gift here. And as always, I encourage you to share the site page with someone else you know in your life that needs direction – we all know somebody like that! Do you have an example of finding your “WHY” or another goal-related story to share? Please comment below and tell us about it! I know that I am definitely guilty of #2. I get excited about trying 5 new things when I’m (probably) already doing too much as it is. I forget that there are only 24 hours in the day and that I have a job, friends, family, and need time to myself. It’s important to remember to have a semblance of balance. At the same time, it’s awesome to hear how successful you have been in your weight loss! Keep it up! Yes Joe – that’s an easy trap for us all. My daily and weekly schedules are my foundation (and my sanity). Thank you for the well wishes and comments!